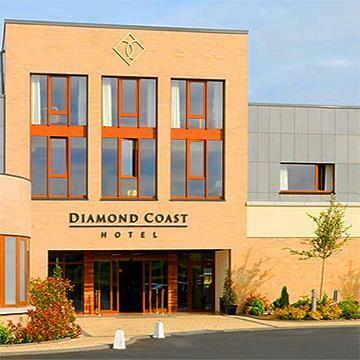 A 10-minute walk from Enniscrone Golf Club, this modest hotel is 1.7 km from Waterpoint Leisure and Sunset Spa. The functional rooms feature satellite TV, free internet access, and tea and coffeemaking equipment. Dining options include a bistro, a gourmet restaurant and a guest lounge serving bar snacks. There are also 5 meeting rooms and a 450-person event space on-site.